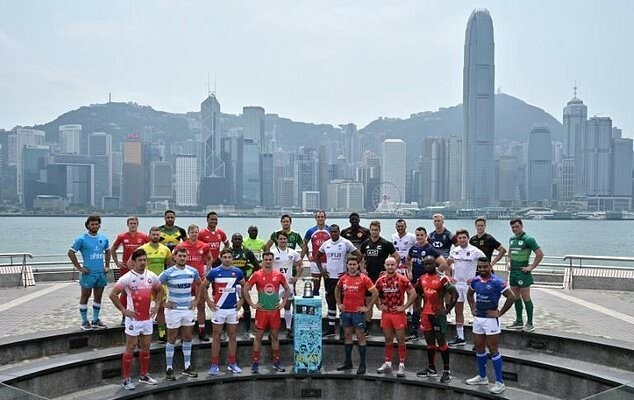 A surging United States are “confident” of taking home their maiden cup at this weekend’s Hong Kong Sevens, with the unexpected series leaders eyeing a guaranteed Tokyo 2020 berth for the top finishers at the flagship tournament. The Eagles have enjoyed a stratospheric rise in this year’s competition with victory in Las Vegas and four other finals appearances in the six rounds played so far. “We’ve had a good year so far and we’re looking to keep it going,” captain Madison Hughes told AFP. Coach Mike Friday said his squad were still finding their feet after vaulting ahead of the traditional rugby power houses. “We’re working hard, keeping our heads down and trying to be the best we can,” he told reporters Wednesday. A favourable draw will see the Americans take on fifth-ranked England in the round robin, while reigning Hong Kong champions Fiji first face New Zealand, Australia and 2018 finalists Kenya in the weekend’s “group of death” pool. Fiji coach Gareth Baber said he expected an especially fierce tournament with teams chasing a top-four finish and a ticket to Tokyo next year. “Obviously an Olympic year is huge for everybody. I’ve certainly noticed an increasing intensity,” he said, adding that the boost in funding for national rugby programmes since the debut of Sevens at the Rio Olympics had raised the stakes in the world series. Fiji have won the Hong Kong tournament a record 18 times and took home the cup for the past four years. Forty teams are competing in this year’s event, with more than 120,000 spectators forecast for the three-day spectacle.